I wanted to try the Vibram Fivefingers shoes for a long time, not in the least thanks to my friend Wouter, who wears them even to official presentations. Still, the years passed by and I did not seem to ever had the time, money, and courage to take them on. 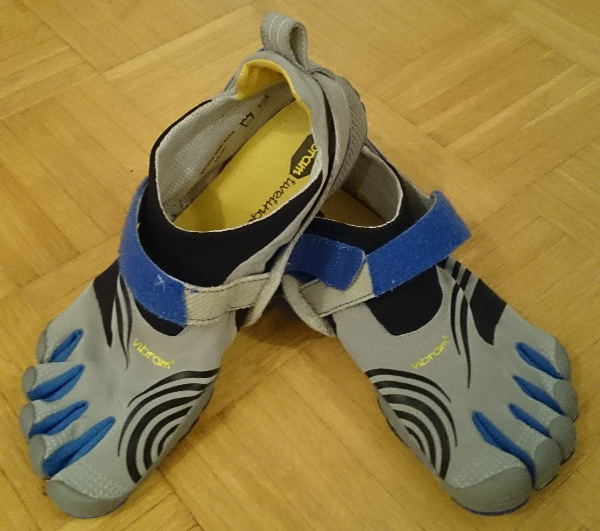 Now, I am finally a proud owner of a Fivefingers Komodo Sport (I think, I threw away the papers and the box). They were comfortable right from the beginning but when I started running in them… How should I put it to you? You see, for the first time in my life, I am actually looking forward to my jogging time now. They are extremely comfortable and pleasant to run in. Of course, I have to watch out not to step on very sharp stones and other obstacles that I never noticed before. But the feel is exhilarating. I always had the right set of the foot and never hit the road with the heel, so these shoes feel so right, so proper. I thoroughly enjoy running now. Now I simply want to wear them all the time and I am wondering if I can be so brave as to get myself a pair of Fivefingers in black to wear to the office… Walking in Fivefingers is a slightly awkward affair at the beginning because I am used to coming hard with my heel to the floor in soft shoes. However, as I wear them more and more, I adapt my walking style and I think it is getting better fast. 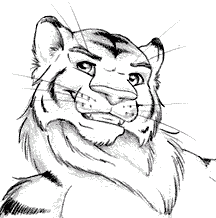 Posted on 2014-06-08 by Tigr. This entry was posted in Various and tagged en, exhilarating, fivefingers, freedom, good feel, jogging, komodo, running, sport, vibram, walking. Bookmark the permalink.